Devon Works watches, a company that produces electronic wristwatches that use a system of belts to tell the time, has announced they are producing an officially licensed Star Wars watch using their patented system of telling the time. This is not a quartz or a mechanical timepiece, it is closer to a smartwatch, as it needs to continually recharged. 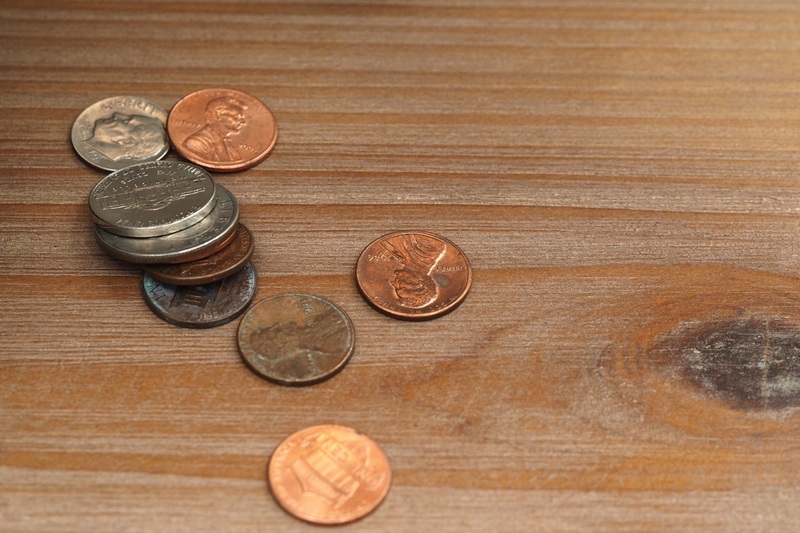 The typical recharge cycle is every 2 weeks. 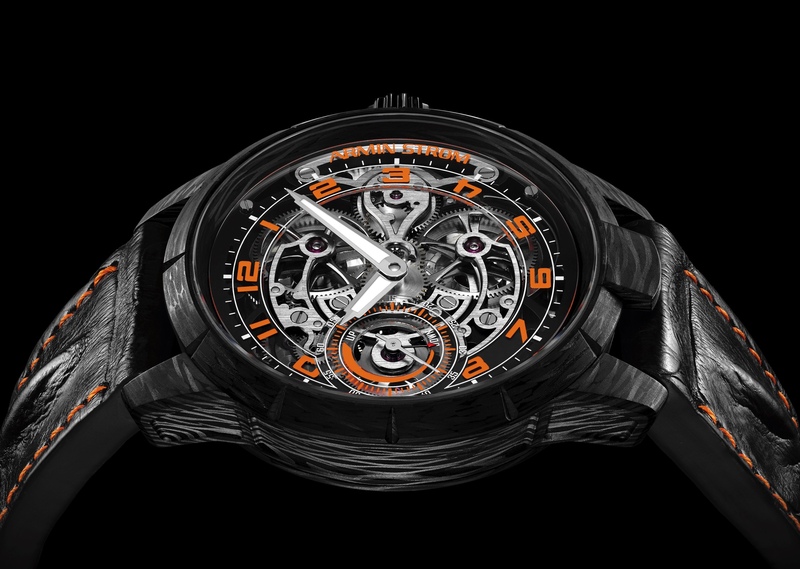 The Devon Star Wars comes in a stainless steel case that has been treated with black DLC, measuring 66.3 mm length by 22.1 mm thickness by 61.2 mm width. The watch has a scratch-resistant polycarbonate lens which is rated a bulletproof. 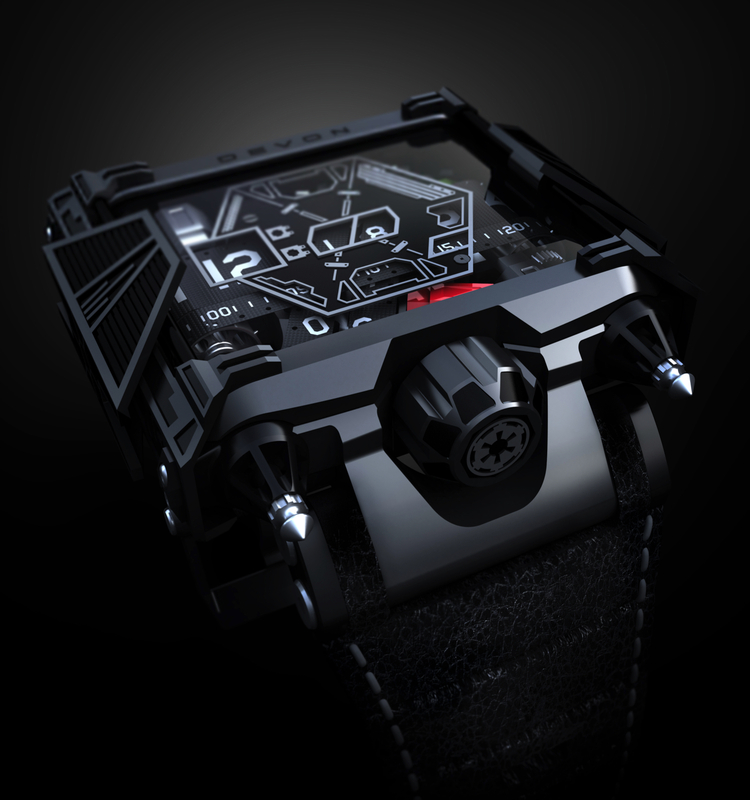 This is a Star Wars watch and so the designer included many nods to the storied movie franchise, particularly to Darth Vader and his TIE fighter spaceship. The wings of the TIE Fighter have been designed as part of the architecture of the case and also included as part of the display stand. The main screws that connect the case and lugs are made to look like aircraft turbine intakes, finished with pointed silver screws that emulate the ones on Darth Vader’s helmet. The crown is finished with the Galactic Empire logo. The belt system is red and green to pay homage to Darth Vader’s center console. Finally, the strap is made in a ribber leather designed to replicate Darth Vader’s gloves. Only 500 Star Wars by Devon watches will be produced, each numbered “1-500” on the engraved Star Wars caseback. Each purchase comes with a TIE fighter recharging stand, TIE cuff links, and a special box also inspired by the TIE fighter. The retail price is $28,500.